A petitioner may obtain a court order for nonmandated discovery under the implied-consent law if the discovery is relevant to petitioner�s claim or defense. But, if the discovery is relevant only to the subject matter involved in the action, the petitioner must show good cause. Amanda Abbott appeals the district court�s revocation of her driver�s license under the implied-consent law on the limited ground that the district court abused its discretion by denying her discovery request. Abbott petitioned the district court to obtain the source code for the Intoxilyzer 5000, the device used to measure the alcohol concentration in her breath. Although the district court initially applied an incorrect general standard of �good cause� to the discovery request, the record supports the district court�s findings that Abbott failed to establish relevance, good cause, or possession. We, therefore, affirm. The Commissioner of Public Safety revoked Amanda Abbott�s driver�s license in September 2007, because she had been driving with an alcohol concentration of .09, as tested by an Intoxilyzer 5000. She petitioned for judicial review and moved for discovery of the Intoxilyzer�s source code. At the revocation hearing, Abbott argued only that she was entitled to discovery of the computer source code for the Intoxilyzer 5000. The arguments were submitted by affidavit and memoranda. In support of her motion, Abbott provided a memorandum that defined �source code,� explained its connection to breath-testing instruments, and attempted to establish its relevance to her license revocation. Her memorandum, based largely on various books and articles and on cases from other jurisdictions, asserted that the science underlying breath tests had not been sufficiently scrutinized or widely accepted in the scientific community. Relying on a Washington case that involved a different type of breath-testing instrument, Abbott argued that source-code information could establish that an instrument was inaccurate. Abbott did not submit any affidavits or offer of proof that pertained to her Intoxilyzer test. In opposition to Abbott�s discovery motion, the commissioner stated that the department�s evidence would establish that the Intoxilyzer 5000 that measured Abbott�s breath sample was properly operated and produced an accurate test result. The commissioner submitted an affidavit of a toxicologist from the Bureau of Criminal Apprehension (BCA) who averred that the Intoxilyzer 5000 and its method of measuring alcohol concentration are generally accepted in the scientific community. The affidavit listed the steps taken by the BCA to comply with the approval requirements for use of the Intoxilyzer 5000. This testing and validation was completed, according to the BCA expert, without access to a source code, and the expert testified that Abbott would be able to similarly test and evaluate the equipment. The affidavit stated that �access to the source code is irrelevant and unnecessary� to determine whether the Intoxilyzer�s measurements are accurate and reliable. Finally, the affidavit explained that the state has never had access to the source code and that the only entity with actual possession of that information is the manufacturer, CMI, Inc. of Owensboro, Kentucky. On these written submissions, the district court denied Abbott�s motion to compel production of the Intoxilyzer�s source code and sustained the revocation of Abbott�s license. Abbott now appeals. I. What legal standard applies to the request for nonmandated discovery under the implied-consent law? II. Did the district court err by determining that Abbott failed to meet the standard for obtaining additional discovery under the implied-consent law? A person whose license has been revoked based on alcohol concentration under the implied-consent law obtains judicial review under Minn. Stat. � 169A.53 (2006). The review �must be conducted according to the [r]ules of [c]ivil [p]rocedure,� except that prehearing discovery �is mandatory and is limited to� four enumerated items. Id., subd. 2(d). These four items are the notice of revocation, the test record showing the driver�s alcohol concentration, the peace officer�s certificate and any accompanying documentation submitted to the commissioner, and disclosure of potential witnesses and the bases of their testimony. Id. The statute provides that �other types of discovery are available only upon order of the court.� Id. The Minnesota Rules of Civil Procedure define the scope of allowable discovery in civil cases. Generally, a party may obtain discovery of any matter �relevant to a claim or defense.� Minn. R. Civ. P. 26.02(a). The court may also order discovery that is relevant �to the subject matter involved in the action,� rather than the specific claim or defense, if the party seeking it can show �good cause.� Id. For either category, the discovery sought is relevant only if it is �reasonably calculated to lead to . . . admissible evidence.� Id. The rule also provides that the �frequency and extent� of discovery otherwise permissible �shall be limited� based on a variety of practical considerations. Minn. R. Civ. P. 26.02(b)(3). These limitations arise, for example, when �the discovery sought is unreasonably cumulative or duplicative, or is obtainable from some other source that is more convenient, less burdensome, or less expensive.� Minn. R. Civ. P. 26.02(b)(3)(i). The court also shall limit discovery when �the importance of the proposed discovery in resolving the issues� is outweighed by its burden or expense. Minn. R. Civ. P. 26.02(b)(3)(iii). Discovery of documents and tangible items is only available if the party from whom it is sought has �possession, custody[,] or control� of the items. Minn. R. Civ. P. 34.01. The district court concluded that Abbott was not entitled to the discovery she sought because she �failed to meet the [r]ule 26.02 requirements of �good cause.�� We do not agree with the district court that �good cause� is the standard for all nonmandated discovery under the implied-consent law. But we understand that the district court may have reached that conclusion because the statute requires a court order and the rule links a court order with a showing of good cause. Despite the subdivision�s clear reference to the rules of civil procedure, the extent to which the subdivision incorporates the rules is unclear. The subdivision does not mention �good cause,� and it would be reasonable to conclude that it is never required. But the subdivision�s reference to the rules of civil procedure can also reasonably be read to import the �good cause� requirement into implied-consent cases. Even then, it would not be clear whether it is always required for nonmandated discovery, or whether, instead, �good cause� is only required to the same extent it is required under rule 26.02, namely, when discovery is relevant only to the subject matter generally. The text is susceptible to more than one reasonable interpretation on this point, and we must, therefore, determine the extent to which subdivision 2(d) requires a showing of good cause. See Am. Family Ins. Group v. Schroedl, 616 N.W.2d 273, 277 (Minn. 2000) (requiring that text on its face be susceptible to more than one meaning before engaging in statutory construction). First, we acknowledge that subdivision 2(d) of the implied-consent statute both incorporates the ordinary rules of civil procedure and explicitly creates an exception to those rules. The question thus becomes the reach of that exception and the extent to which the ordinary rules apply. Although the Minnesota Rules of Civil Procedure define two categories of relevant evidence�relevant to a claim or defense and relevant to the subject matter�they do not mandate any category of discovery. Compare Fed. R. Civ. P. 26(a) (establishing extensive duty to disclose �without awaiting a discovery request�), with Minn. R. Civ. P. 26.01 (omitting mandatory discovery provisions). Thus, regardless of the category of relevance, a party still must make a request to obtain it. Indeed, the other party may dispute its discoverability, and the seeking party may need the court to order its production. If the court determines it is relevant to a claim or defense, the party need not show good cause, although the court still has discretion to deny it based on other considerations. Minn. R. Civ. P. 26.02(b)(3); see also Minn. R. Civ. P. 34.01 (requiring that matter sought must be in other party�s possession, custody, or control). If the court determines that the discovery is only relevant to the subject matter generally, the seeking party must show good cause. Significantly, neither category of discovery always requires an order. Just as parties are not mandated to provide anything to each other, neither are they prevented from asking each other directly for discovery, regardless of the category of relevance. See Minn. R. Civ. P. 26.01 (setting forth methods for obtaining discovery). That is, although rule 26.02 allows the court to order discovery relevant to the subject matter, a party is not required to seek a court order to obtain it. A party is always free simply to request it directly from the other party. Subdivision 2(d) of the implied-consent statute alters both of these aspects of civil discovery: it both establishes mandatory discovery and prevents parties from asking each other directly for nonmandated discovery. The mandatory discovery consists of four enumerated items. Minn. Stat. � 169A.53, subd. 2(d). Nonmandated discovery is available only by order of the court. Id. We understand these provisions as intending to relieve the commissioner of time-consuming disputes over discovery, by stating exactly what the commissioner needs to provide and requiring the petitioner to convince the court of the need for anything else. Because this is the extent of the subdivision�s exception to the civil-procedure rules, we see no reason to conclude that the subdivision otherwise alters the rules, particularly when the text of the subdivision explicitly incorporates them. Id. That is, if a petitioner moves the court for nonmandated discovery�just as a party in an ordinary civil action might do�the petitioner must show that the discovery is relevant and, if it is not relevant to a claim or defense, the petitioner must show good cause for its production. And, in either case, the district court retains the same discretion it has under the ordinary rules to deny the request, even if it is relevant. See, e.g., Minn. R. Civ. P. 26.02(b)(3) (providing grounds on which otherwise permissible discovery �shall be limited� by court); Minn. R. Civ. P. 34.01 (providing that discovery may only be ordered when it is in possession, custody, or control of party from which it is sought). We are persuaded that this interpretation of the implied-consent statute is consistent with the principle that discovery rules are �remedial and must be construed liberally.� In re Comm�r of Pub. 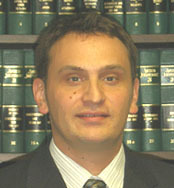 Safety, 735 N.W.2d 706, 711 (Minn. 2007) (Underdahl) (quotation omitted). We therefore reject the contention that, because Minn. Stat. � 169A.53, subd. 2(d), requires the petitioner to seek an order for nonmandated discovery, good cause must always be shown. To interpret subdivision 2(d) in that way would incorporate a conclusion that nonmandated discovery is never relevant to a claim or defense. And the statute, taken as a whole, does not allow that conclusion. See Schroedl, 616 N.W.2d at 277 (requiring statute to be read as whole to avoid contradictory interpretations). 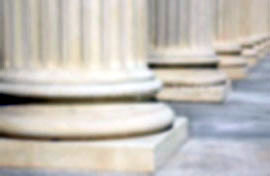 Provisions elsewhere describe issues that may be raised in the hearing, and discovery outside the mandated items could be necessary to address some of those issues. For example, Minn. Stat. � 169A.53, subd. 3(b)(10), establishes that a petitioner is entitled to inquire whether the testing method used to measure alcohol concentration was �valid and reliable.� If a petitioner can show that evidence is capable of bearing on validity and reliability, discovery would be relevant to that defense and no additional showing of good cause is required. Whether a source code qualifies as this type of evidence depends in any given case, as always, on the showing made by the parties. When the issue of relevance turns on disputed facts, the district court must make findings based on the evidence presented. The quantum of proof required to establish relevance in implied-consent proceedings is the same as other civil proceedings: whatever burdens of production or proof the petitioner might bear in establishing her claims or defenses, the demonstration of relevance required to obtain discovery is no more than it would be for any other civil litigant. Cf. Kramer v. Comm�r of Pub. Safety, 706 N.W.2d 231, 235-36 (Minn. App. 2005) (explaining burden-shifting analysis courts apply under implied-consent law). In sum, the district court has the same discretion to grant or deny a discovery request in implied-consent hearings as it does in civil cases generally, and the parties are bound by the same burden to demonstrate that an item is discoverable. If discovery is relevant to a claim or defense in the hearing, good cause need not be shown, but the court may still deny the request based on other factors addressed in the rules. We turn then to the district court�s factual findings in Abbott�s case. In its written memorandum, the court stated that Abbott �failed to show . . . a direct connection between the Intoxilyzer 5000�s computer source code and its testing method.� The memorandum also stated that Abbott did not show that �the source code would assist in demonstrating that [a] malfunction affected [Abbott�s] test results.� The district court noted that Abbott had not claimed that the Intoxilyzer malfunctioned during her test. The district court further stated that Abbott had not established good cause for production of the source code and that Abbott had not shown that the commissioner was in possession of the source code. In attempting to establish a connection between the source code and the Intoxilyzer�s results, Abbott provided a variety of sources in her memorandum. But the district court was not obligated to credit these assertions, and it specifically faulted Abbott for not providing evidence �in the form of expert testimony or affidavit.� The BCA expert, however, stated by affidavit that assessing the Intoxilyzer�s reliability is not in any way dependent on access to the source code and that knowledge of the source code was �irrelevant and unnecessary.� Assuming the district court credited the BCA expert�s opinion, its conclusion that information in the source code would not shed light on Abbott�s test results is supported by the record. Because the district court determined that the source code was not relevant to a claim or defense, Abbott could have prevailed by showing that the source code was nonetheless relevant to the subject matter generally. In that case, Abbott would have to show good cause to obtain discovery. Abbott offered nothing in addition to the evidence described, and the district court found Abbott did not establish good cause. This finding was not clearly erroneous. The BCA expert�s affidavit also states that the commissioner has never had actual possession or custody of the Intoxilyzer�s source code. And Abbott did not provide any evidence to the contrary, although she did argue in her memorandum that the commissioner had or could obtain the source code. Assuming that the court credited the BCA expert, the court�s factual determination that the commissioner did not have possession, custody, or control of the source code is supported by the record. Abbott presents two arguments challenging this factual finding on appeal. First, she contends that the commissioner has filed a federal suit against CMI and that the commissioner�s arguments in that suit about possession of the source code are inconsistent with the position taken in this case. This argument was not raised in the district court, and because none of the documents in the federal suit are part of the record in this appeal, we have an insufficient factual basis to evaluate her claim. See Thiele v. Stich, 425 N.W.2d 580, 582-83 (Minn. 1988) (stating that appellate courts �may not consider matters not produced and received in evidence below�); see also Minn. Stat. 110.01 (defining record on appeal). Second, Abbott contends that the supreme court in Underdahl has established that the commissioner has possession of the source code. But in that case, the court was not called upon to make that factual determination. 735 N.W.2d at 712-13. It did address whether the commissioner, having been ordered by a district court to turn over the source code, had an adequate remedy at law, if in fact the code was clearly not discoverable. Id. at 711-13. The supreme court concluded that, under the state�s contract, the commissioner could sue to obtain the source code once the commissioner had been ordered by a court to produce it. Id. at 713. Assuming that remedy to be adequate, the supreme court declined to issue a writ of prohibition overturning the district court�s discovery order. Id. At most, then, the supreme court said that the commissioner could pursue obtaining the source code if necessary, which is not the same as saying the commissioner had possession, custody, or control of it. The district court made factual determinations that the source code would not produce relevant evidence and, in any case, that the commissioner did not have it. The applicable law does not require discovery of evidence that is neither relevant nor in the other party�s possession. Thus, the district court�s conclusions on lack of relevancy and lack of possession of the information, both of which are supported by the affidavits presented by the state, are sufficient to establish that the district court has not abused its discretion in denying Abbott�s request. The record provides evidence allowing a conclusion that the Intoxilyzer�s source code was not relevant and not in the commissioner�s possession. Thus, even though the district court initially applied an incorrect general standard of good cause to Abbott�s discovery request, it properly applied the law of relevance and possession by the party from whom discovery is sought. The court�s conclusions were not an abuse of discretion and were sufficient to deny discovery.